Explosion proof panel box is designed and built to operate in environments where concentrations of flammable gases, vapors, liquids or combustible particles pose risks of ignition and explosion. The explosion proof panel box also prevent interior explosions from spreading outside and posing a threat to life and property. 1. Explosion proof panel box shell is made of ZL102 aluminum alloy die-casting or steel plate welding, surface high-voltage electrostatic spray, with stainless steel exposed fasteners, the product looks beautiful. 2.Built-in components can be installed according to user requirements for high-score breakers or molded case circuit breakers. Such as DZ47, C65, DZ158, NM1, CM1 and so on. 3. Can be customized according to customer requirements, such as the installation of surge protector, ammeter, voltmeter, etc., can be equipped with a padlock metal handle. 4. The cabinet drawings can be provided by customers and manufacturers. 5. 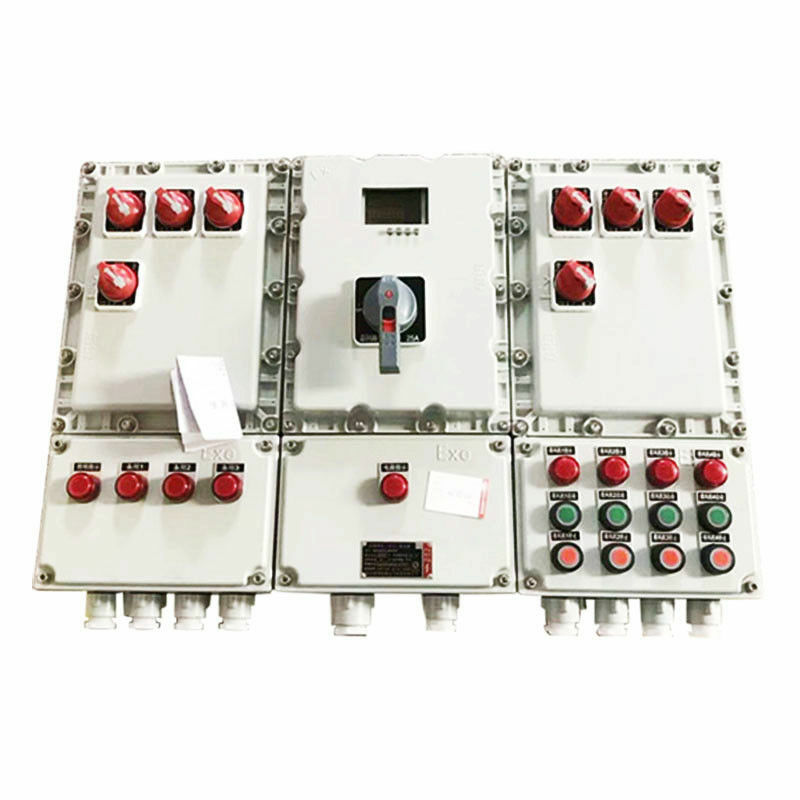 Explosion proof panel box adopts composite type and modular structure. Each circuit can be assembled freely according to requirements. The general switch box adopts explosion-proof structure, and the bus box and outlet box adopt increased safety structure. 6.Exposed fastener of stainless steel. 1)Q: Are you a trading company or manufacturer? 2)Q: How do you control the quality? 4)Q: What is our advantage in the industry? 5)Q:How Long To Make A Sample? 15)Q: Are you a trading company or manufacturer?